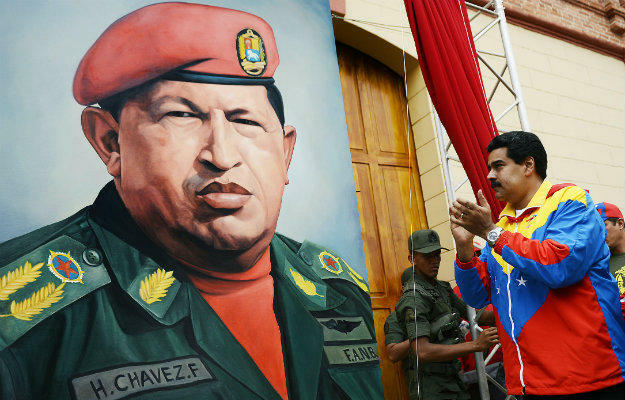 Venezuelan President Nicolas Maduro (right) next to an image of the late Hugo Chavez. But as it turns out, Chávez apparently does continue to speak to us through Maduro. How else to explain the uncannily Hugo-esque way in which Maduro finds outlandish scapegoats for the swamp of economic and social problems that Chávez, despite his anti-poverty achievements, left behind in Venezuela – including, as Venezuelans were sorely reminded this week, massive power outages? As if that didn’t make him sound nutty enough, Maduro the next day ordered the formation of a special ops force to protect the grid from all those fascist electro-saboteurs. “I have decided,” he tweeted, “to create the Electrical System Security and Intelligence Unit as an organ of special forces that will guarantee its defense.” Most Venezuelans, who are smart enough to know the situation calls for utility experts instead of Navy SEALs, rejected Maduro’s conspiracy theory. Here’s the big difference between Chávez and Maduro, however: Chávez was dealing from a position of economic and political strength; Maduro isn’t. Chávez had charisma; Maduro doesn’t. Which means Maduro, no matter how often his political séances evoke el comandante, is going to have a much harder time holding things together for the rest of his six-year term – especially after incidents like this week’s nationwide blackout. But this was just the more recent example of conspiracy mongering. Like Chávez, Maduro keeps a shelf full of usual suspects, from U.S. mercenaries plotting to assassinate him to opposition homosexuals scheming to “prostitute” Venezuelan youths. On Planet Chavista, Venezuela’s soaring inflation rate – which hit 42 percent in July – has nothing to do with the government’s currency-control chaos; it is, you guessed it, a conspiracy of right-wing speculators. Its spiraling violent crime – including South America’s worst murder rate – is due not to a dysfunctional police and judicial system but to capitalism. Its chronic shortage of basic goods, from eggs to toilet paper, is the fault of producers, despite the fact that producers have little if any economic incentive in Venezuela today to produce. And that’s not good news, despite what all the anti-Chavista folks in Venezuelan diaspora enclaves here, like Doral, insist. As ill prepared as most Venezuela-watchers think Maduro was to be president, most of us would rather not see the ugly if not violent unrest that could occur if things really unravel under his rule. Under Venezuela’s constitution, a recall referendum can be called against a president once he’s half way (three years) into his term. There is increasing speculation inside and outside Venezuela that this could happen to Maduro, especially since new polls suggest voters now prefer opposition leader Henrique Capriles, whom Maduro defeated in April, as president. But a recall too could set off a powderkeg in an environment as polarized as Venezuela’s. So the question is whether it might be better for Venezuela if Maduro finishes his term and lets the country prepare for a more regular, calmer presidential contest in 2018. In order for Maduro to make it there, however, he’s going to have to summon his own political skills for once instead of the ghost of Chávez. 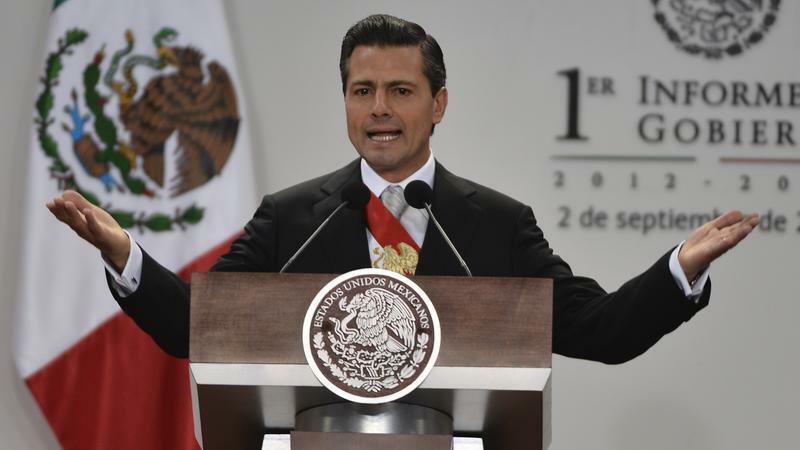 Mexico's President Enrique Pena Nieto says his nation is undergoing a major change — one his country should not fear. Pena Nieto gave an upbeat assessment of his nine-month-old administration in his first State of the Union address on Monday. Despite his positive review of Mexico's condition, the new president is dealing with chaotic protests in the capital, intractable levels of violence and a less favorable economic outlook than predicted. 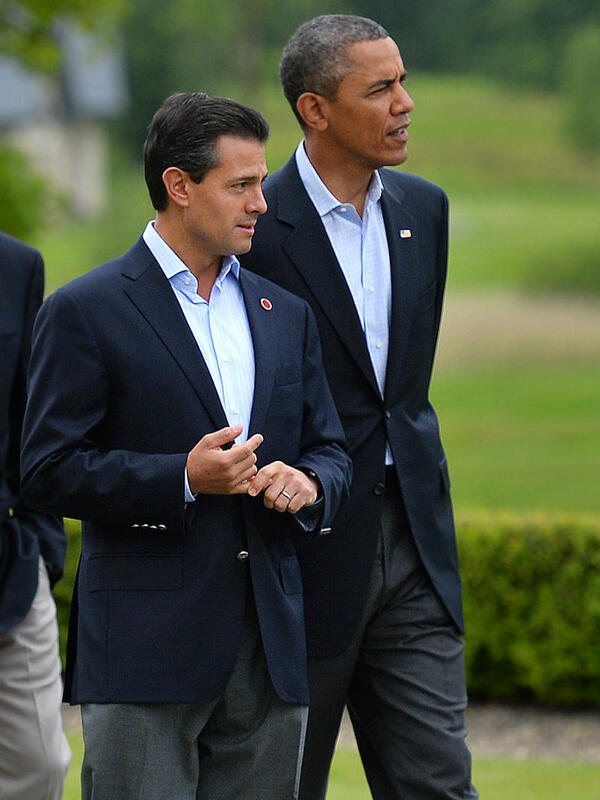 He campaigned on the promise of creating a modern and prosperous Mexico. And according to his appraisal, he's done just that. For the last in a summer series of grilled food from around the world, we head to Mexico, where a small doughy treat is found everywhere from street corner grills to high-end restaurants. 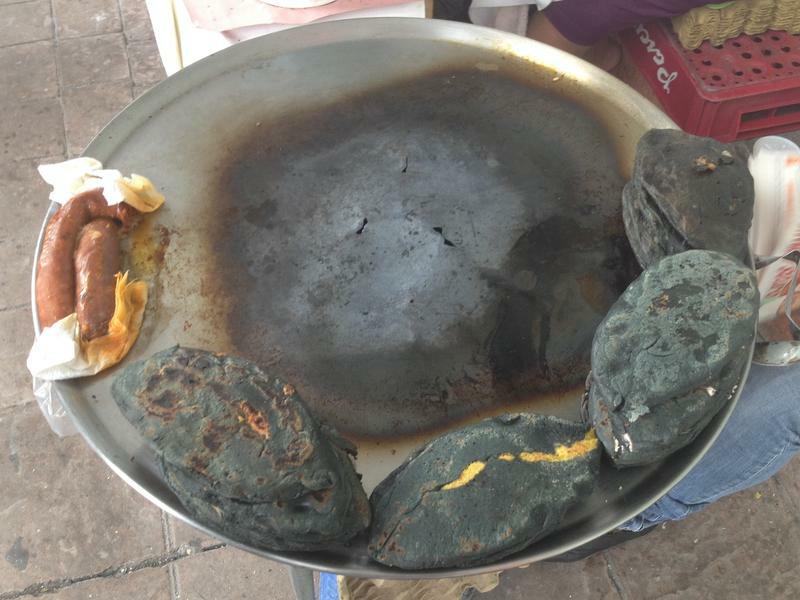 It's called a tlacoyo (pronounced tla-COY-yo) and although it may sound novel, it's an ancient food that's older than Hernan Cortes. Millions of angry Brazilians have taken to the streets this summer to demonstrate against their government and political class. And right now we’re seeing a vivid example of why: the controversy over Brazil’s recruitment of 4,000 Cuban doctors to work in its remote regions. 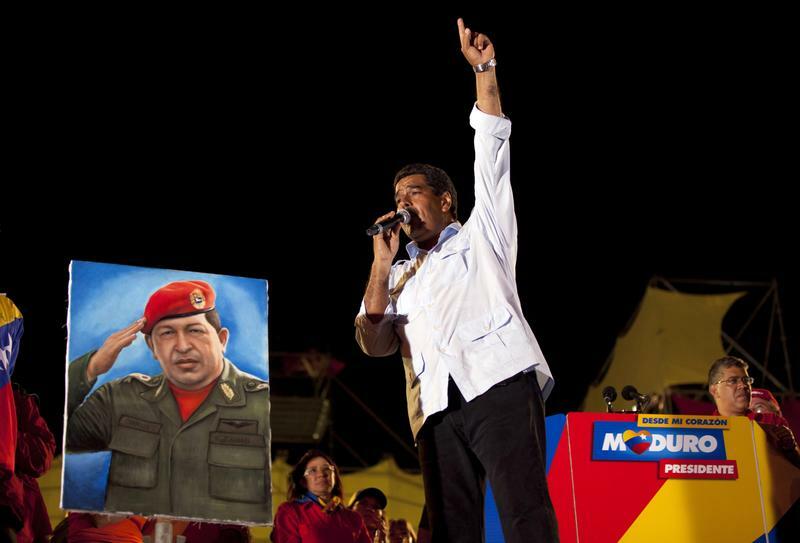 In Venezuela, Nicolas Maduro — the president of a powerful government — should be at center stage. But as he runs in Sunday's snap presidential elections, it's his larger-than-life predecessor who is getting much of the attention. The death of Hugo Chavez, who taunted the U.S. and empowered the poor, is triggering the special vote. And Maduro is using Chavez's voice and image to ensure that the late president's socialist system remains in power for many more years to come. Last week a Venezuelan-American friend in New York sent me an e-mail raving about a new, free mobile phone app called Abastéceme. Its most important use: locating toilet paper. Well, that and about two dozen other basic everyday items, from rice to deodorant, which are in chronically short supply these days in Venezuela. Absentee ballots. Polling centers open for days on end. Early voting. All of these are ways in which Americans can vote for their nation’s elections. So they might be shocked to hear me tell them that 19,542 Venezuelans living in the United States have to go through a much more grueling process to be able to do the same thing they can do rather easily.